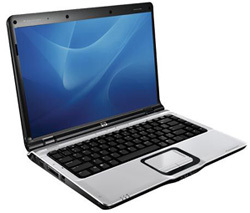 While there are many different manufacturers of laptops and notebooks, the panels themselves are actually only manufactured by a relatively small selection of companies. The widely used manufacturers are, as with desktop monitors, AU Optronics, LG.Display (previously LG.Philips), Samsung and CMO. Below is a database of all the current panel modules manufactured in each laptop/notebook diagonal. These show the module number along with important information including panel technology and a detailed spec. This should provide a detailed list of panels used, and can give you some insight into what is used in any given laptop/notebook. Note: These are taken from manufacturer product documentation and websites which are linked at the bottom of this page. Specs are up to date to the best of our knowledge, and new panels will be added as and when they are produced. Where gaps are present, the detail is unknown or not listed in documentation.